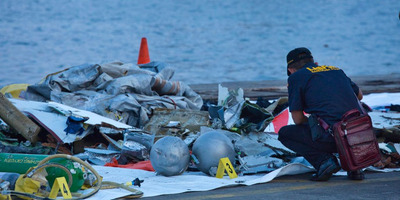 Ed Wray/Getty ImagesRescuers search through debris from the crash. A passenger on the Lion Air flight before the one that crashed on Monday told Indonesian media it was like being “in a roller coaster,” The Associated Press reported. Others were vomiting and panicking, the passenger said. Lion Air acknowledged a fault with the plane but said it was fixed it before Flight 610, which crashed into the sea with 189 people on board. Here’s what we know about the passengers, who rescuers believe are all dead. On the last complete Lion Air flight on Sunday before a crash early Monday, the plane was climbing and dropping so wildly that people on board were panicking and some were vomiting, passengers told Indonesian media. The Boeing 737 Max 8 operated by Lion Air crashed into the sea near the Indonesian capital of Jakarta on Monday with 189 people onboard. 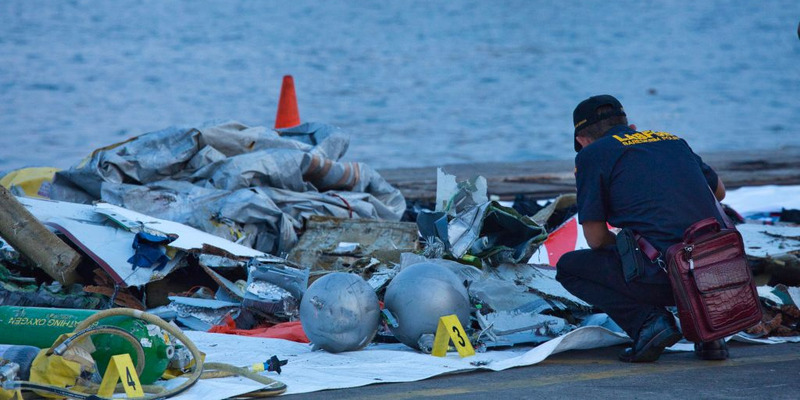 Rescuers at the crash site have found no survivors, and officials have said that everyone aboard is most likely dead. A passenger on the plane on the Sunday flight from Bali to Jakarta, Alon Soetanto, told the Indonesian TV channel TVOne that the Boeing 737 dropped suddenly several times in the first few minutes, The Associated Press reported on Tuesday. “About three to eight minutes after it took off, I felt like the plane was losing power and unable to rise,” Soetanto said, per the AP. Claims that the Lion Air plane was flying erratically are corroborated by data collected by flight-tracking websites, the AP said. The plane was supposed to steadily gain altitude but could be seen rising and falling several times in that data, the news agency reported. The AP said the data from Sunday’s flight was similar to preliminary data from Monday’s flight, though it described safety experts as saying accuracy should be checked against the plane’s so-called black boxes, which would contain information about the final moments aboard the plane and are expected to be recovered. Shortly after Lion Air Flight 610 took off on Monday, its pilot, Bhavye Suneja, asked to turn back, seemingly because he knew something was wrong. Thirteen minutes into the flight, the plane stopped communicating with Jakarta’s Soekarno-Hatta International Airport and crashed into the sea.